Gibbs Brand is truly a 'Tool-kit in a Can.' There are so many uses around the house and garden that they are almost impossible to list! It is long-lasting, works cleanly and will not attract dirt or dust. Clean UPVC window frames and doors to maintain their colour and make them resistant to weathering. It will also lubricate and protect their locks and hinges - particularly useful in the salt-laden air of coastal areas. 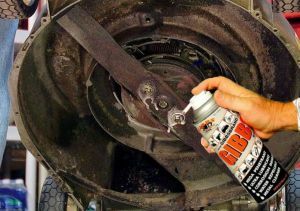 Free-off and give clean, long-lasting lubrication to door locks, pad-locks and hinges. Un-sieze even the most stubborn nuts and bolts and fasteners of all types. Buff and rejuvenate tired and stained fibre-glass baths. Clean chrome and stainless taps and fittings. 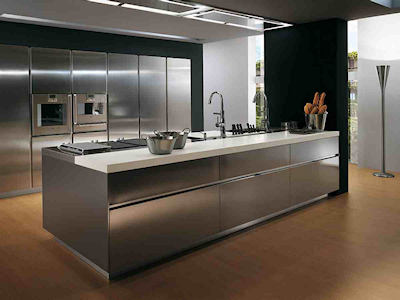 Remove finger-marks from stainless steel and aluminium appliances and splash-backs in the kitchen and around the house. It will leave a natural sheen that will be resistant to further marking when touched. Clean, buff and protect tiled and ceramic floors. Remove tar and glue residue. My husband walked into the sea with his ipod in his shorts pocket while we were on holiday. Needless to say it stopped working. When we got home it got forgotten about.Then a friend told me that they had heard about people fixing water-logged mobile ‘phones with Gibbs Brand. Deciding that we had nothing to loose we bought some and took the cover off and and sprayed the inside. Nothing happened, but the next day we tried it again and to our amazement it worked. It hasn’t stopped working since! Thanks Gibbs Brand! The face of my daughter’s electric iron got contaminated with a black tar-like substance which she could not clean off. I was given the task of removing it. I sprayed the flat surface of the iron with Gibbs and waited 10 minutes before trying to remove the black stuff. Using a flat steel blade some came off, I sprayed again and left over night. Next morning I was able clean it off completely and after cleaning with washing-up liquid was able to bring the iron back to full working order again. As a matter of interest my daughter had already tried using WD40 with no success. My daughters comment was; Thanks dad, can you do the ironing as well?! Thanks Gibbs Brand! Nigel Piggott, Bishops Stortford. Make garage door mechanisms run more free. Protect and lubricate all hand and power tools, particularly bare metal items such as drill-bits and saw blades. Start stubborn petrol lawn-mowers / strimmers etc by using Gibbs as an 'easy-start' fluid - even safe on 2-strokes. Clean and protect barbeques etc particularly during over-winter storeage. Protect and water-proof outside light switches junction boxes and wiring.